It’s here! 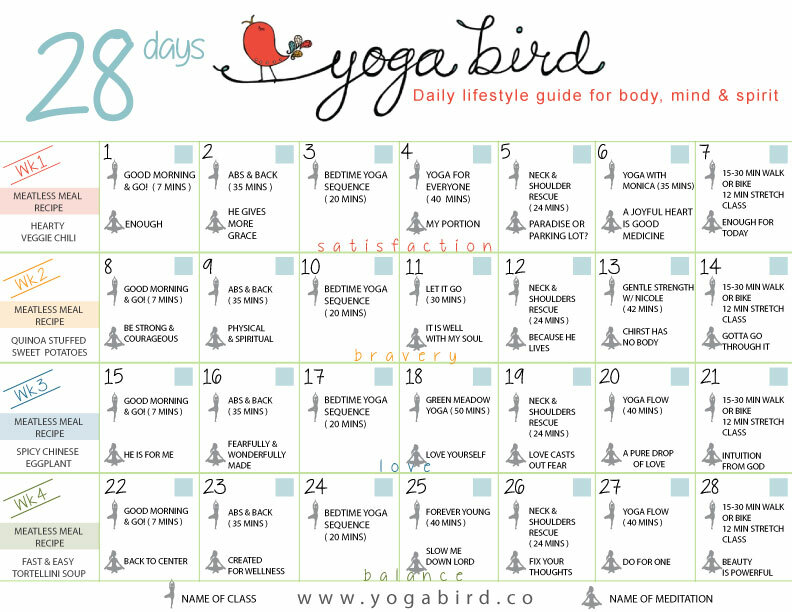 The 28 Days of Yoga Bird Calendar! Ready for you to print out and hang on your fridge! This calendar will guide you in . . .
* A daily yoga practice and guided meditation, for your body, mind and spirit. * Each week has a specific theme of Christian meditations that will feed your spirit. 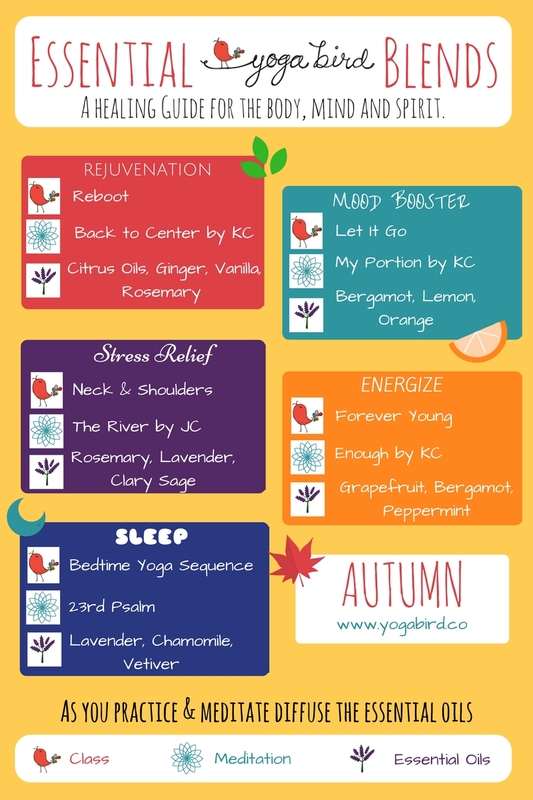 The classes and meditations are all matched up for you. * Once a week there is a recipe for a meatless meal to inspire you and your family to eat more awesome veggies. Each recipe is on the blog, you can search it and find it by name. So get inspired! Connect with a group of friends and have them join you, on your 28 day fitness fun. Delight in your journey to new habits and heath.